Former Test opener Cameron Bancroft says he can't wait for the day he can bat with David Warner again despite pointing the finger at his former partner for his key role in the sandpaper scandal. 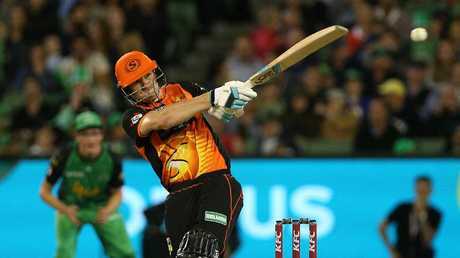 Bancroft made a matchwinning 59 for the Perth Scorchers in a Big Bash win on Wednesday night at the MCG, his best effort in his fourth game since the end of a nine-month ban for his role in the incident. It was also his best effort since Bancroft confirmed, in a TV interview aired on Boxing Day, that Warner gave the order for the young batsman to take a piece of yellow sandpaper out on the field in South Africa in March last year. "Dave [Warner] suggested to me to carry the action out on the ball given the situation we were in the game and I didn't know any better," Bancroft told Fox Sports. 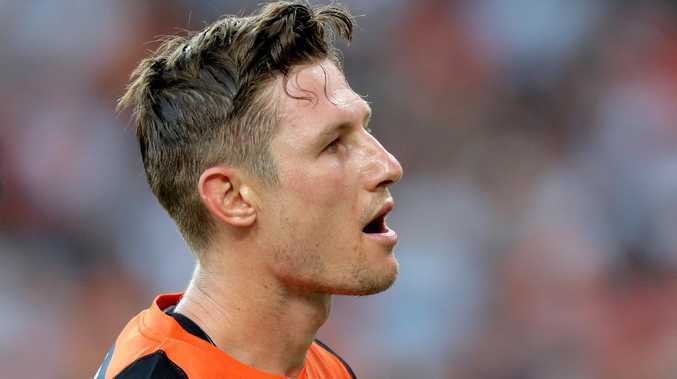 Bancroft was accused of throwing Warner, who with former captain Steve Smith was given a one-year suspension, under the bus and critics suggested the pair could never play together again. 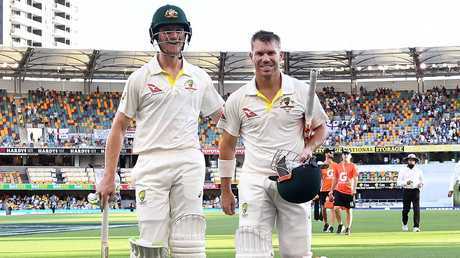 But Bancroft, who has sidelined all cricketing ambitions beyond improving each and every match, said he had remained in touch with Warner, that the pair were on good terms, and they could bat together in the future. "Absolutely. 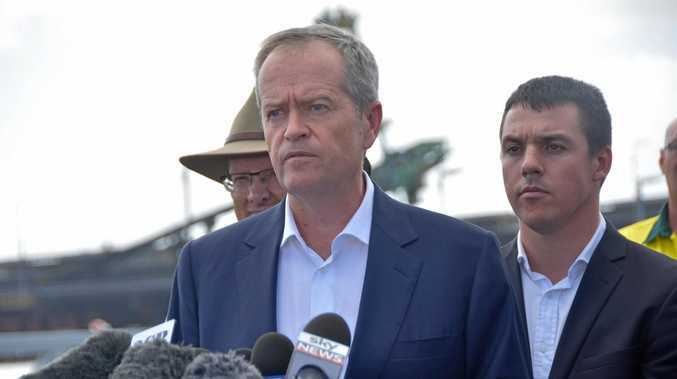 We are good people, very honest and passionate," Bancroft said. "Dave, like Steve, we have all gone through our challenges haven't we, and been there for each other. I look forward to a day like that where I could play cricket with Dave again. "A player like myself, you strive for opportunities to be around guys like that. For my own learning and improvement as a cricketer I would love to do that some day." Now back in to the routine of training and playing after nine months on the sidelines, Bancroft said he was starting to feel more comfortable. He said he had no control over what the public thought of him, but there had been little indication of a negative attitude towards him. "Each day that goes by … it all comes together a little bit, going with the flow, really enjoying each moment, that's been the only way you can take a situation like that," he said. "I certainly feel like I have been true to myself and been really positive and enjoying my cricket that's all I can control. "I go out there with a smile on my face and enjoy my cricket and those other sorts of distractions are well and truly out of my control. "People are entitled to their opinions, that's the beauty of the world, the opportunity is there for people to share those. I got to bed every night and wake up each day looking to improve as a person. Opinions are for other people to control." Bancroft said he felt like he was adjusting well to the game after his time on the sidelines. But lofty goals like potential Ashes selection, should he find form in the second half of the Sheffield Shield season, were a long way from his mind. "I'm four games in, so it's pretty hard to judge that at this point in time," he said. "Each game I play I will grow and evolve and if I can keep rolling up to training and improving I am going to get better as a person first and foremost and then as a cricket player. "It's just good fun, going out and contributing to your team, and I will be looking to do that. If those other factors come in to consideration that is fantastic. But I am just really grateful to be back playing cricket."